2015 just started and, as we said, it will be a huge year for K-Devices. You can see it right now: today we launch not one, but two new Max For Live devices in partnership with Ableton! … And they are both amazing! First device is Alter Echo, a super-charged delay effect. You never saw, or even imagined, a delay like this! the side-chain compressor to creatively balance dry and wet. This device can produce terrific stuff! unlink mode for stereo delay madness! Listen to this cool demo song by Ivo Ivanov, and then check the following tracks: Alter Echo is the only effect involved! Take a look to the product page to get all details; manual is available for download. 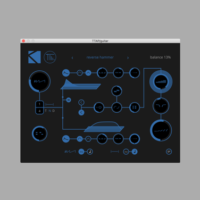 Alter Echo is a deep device, with lot of features. To be sure you take advantage of all these, we asked a serie of video tutorials to a pro: Brian Smith. Here’s the first episode, enjoy. Holder is a smart, easy to use, and powerful spectral freezer effect. Basically Holder retains very short slices of sound each time you trig, then it uses up to three reading modes to create sustained tones, and drones. Last, the dronizer section hosts three exclusive effects to shape your tone in many different ways. 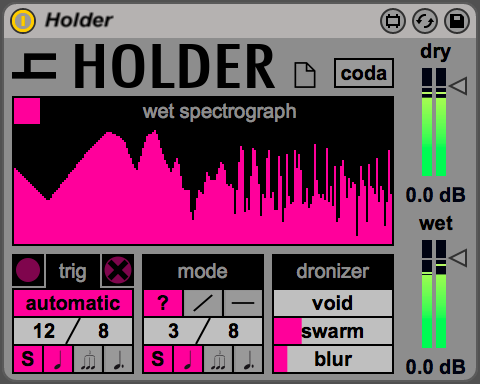 Doing a great job with any kind of sound (try with acoustic instrument, synthesis, or even vocals), Holder produces a wide range of results: you can use it to produce organic drones, walls of sound, or unusual like-reverb echoes. It’s so powerful! And the sound quality is awesome. Check product page to get all details, manual, and audio demos. We worked to give you great Live Packs. As we recently did for the AutoBeat update, we commissioned additional content to professional sound designers. Big names are involved in this release: Afro DJ Mac, Ivo Ivanov of Glitchmachines, Hyena aka Ableton Trainer Giona Vinti, Piezo aka Ableton Trainer Luca Mucci, and Richard Devine!! They created exclusive presets, demo sets, and sound libraries for these devices. These two are great devices, so we created a bundle to let you get them both, saving extra: add Alter Echo and Holder in the cart at Ableton Packs Shop, and take advantage of automatically applied discounted price 39€/49$!! That’s all for now; let us know if you like these new devices! Next PostFrom Black Friday to Cyber Monday: 4 days at -50%! !